gue index of Grande Prairie newspapers. 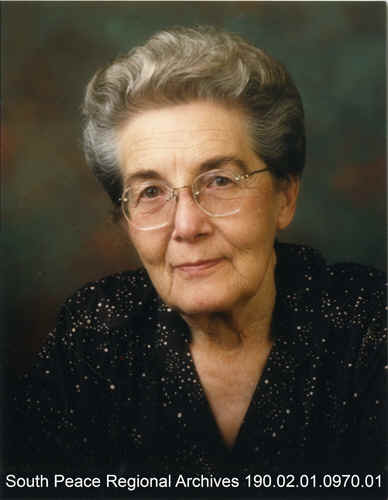 Miss Campbell diligently tracked the history of various Grande Prairie area people as they appeared in local newspapers from 1913 to 1961. Featured newspapers include the Grande Prairie Herald (1913-1938), the Northern Tribune (1932-1939), and the Grande Prairie Herald-Tribune (1939-present). The tables are organized in alphabetical order by surname. Newspaper dates featuring items about that person are listed by month, day, and year. The location within the paper is given as a page number and column number on that page. Notes are occasionally given to provide more detail about the content of the article indexed. A specific place is given when one was identified in the article and by Miss Campbell. Where no place is listed, one should assume the place referred to is Grande Prairie. The pdfs are word-searchable. The table does not include links to the actual articles mentioned. To read an article, consult the newspaper of that date. The website, Our Future, Our Past: The Alberta Heritage Digitization Project (AHDP), contains digitized copies of Grande Prairie newspapers from 1913-1949. A complete collection of newspapers (1913-present) is available on microfilm at the Grande Prairie Public Library in the Isabel Campbell room. South Peace Regional Archives does not maintain a complete collection of local newspapers, but may have specific issues. An PDF index of organizations is also available. Many thanks to the Archives volunteers who were involved in this project. Please notify the Archives of any corrections that are needed.